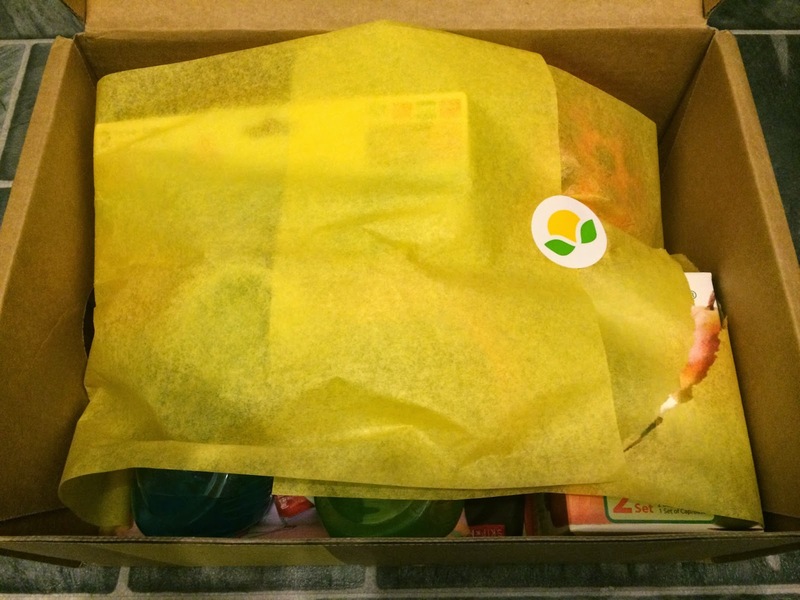 We received the Citrus Lane Mealtime Mystery Box yesterday. The only item we knew would be included was a Skip Hop bib, but we weren't able to pick which one we wanted (monkey or owl). They promised a $60 value and the cost was only $29, so that was definitely a deal. I figured even if we received items we could no longer use for our almost 2 year old, they would make great gifts, so we took a chance! It arrived in a normal Citrus Lane box, much like the monthly subscription. It even had the same yellow tissue paper. The only thing it was missing was an information card. And this box was full, so I couldn't wait to see what we got!!! And this is everything we received!!! 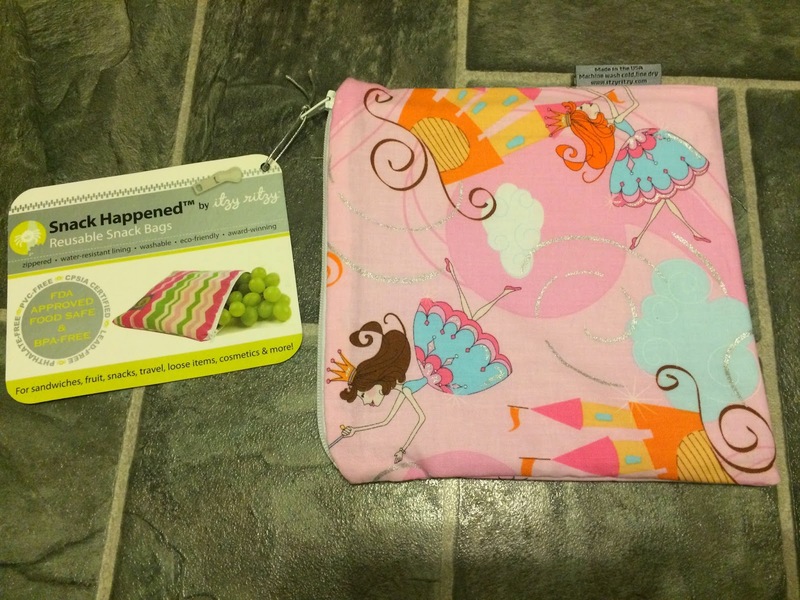 The first item was a Snack Happened Reusable Snack Bag by Itzy Ritzy. This is cute and looks handmade. It also has a water-resistant lining and is washable. I love the cute fairy princess print, which is perfect for our daughter. This is one item we'll definitely be keeping and using! 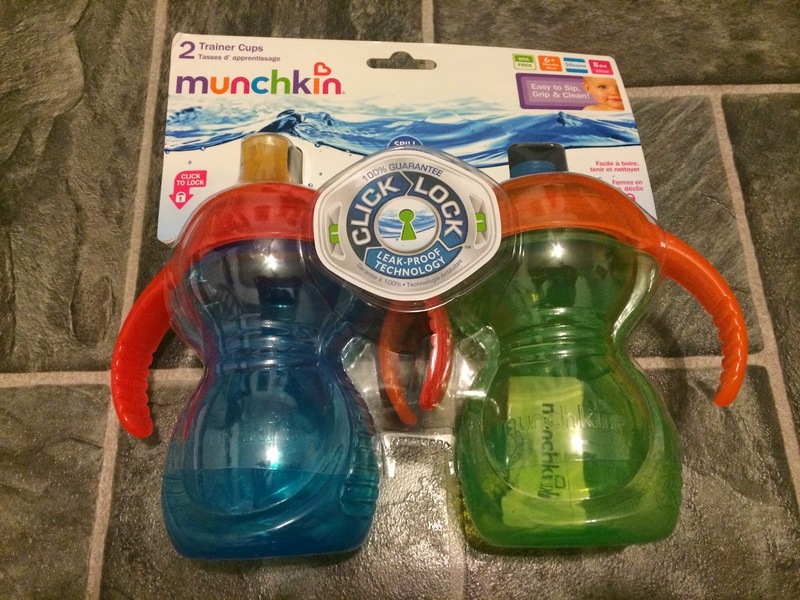 We also received 2 Trainer Cups by Munchkin. I was so happy these were included. 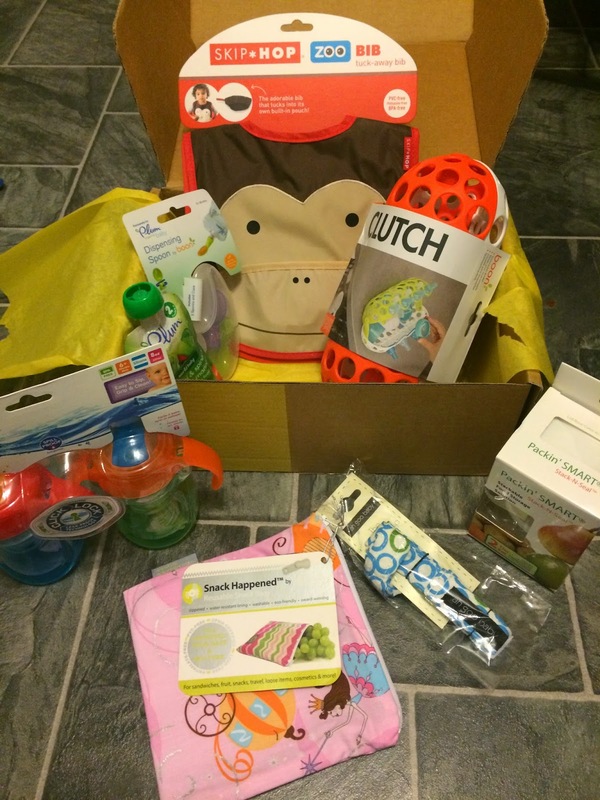 The reason I chose the mealtime mystery box was because I was secretly hoping we would get a new sippy cup. We go through these like crazy. (Why do kids insist on biting the tops?!?) These are Click Lock and are spill proof. We'll also definitely be using these! 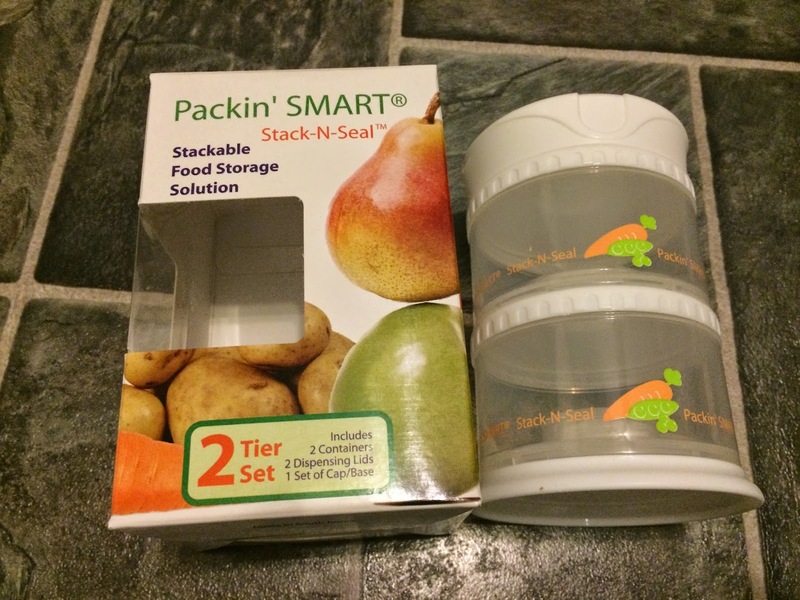 The next item was Packin' Smart Stack-N-Seal Stackable Food Storage Solution containers. We received these in a previous box and used them when she was much younger for formula, baby cereal, etc. These are kind of small for her to use for snacks now, and I prefer to use the reusable bags because they are easier to pack and go, but these will make a great gift! 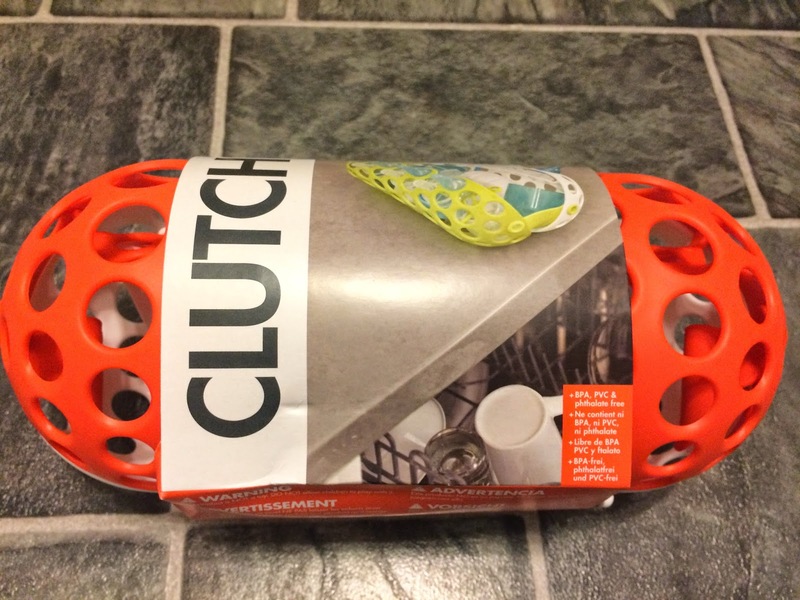 The next item was a Clutch Dishwasher Basket by Boon. Believe it or not, we have lived without a dishwasher, but we are moving and will have a dishwasher now!!! So, I'm actually excited about this to keep all the sippy cup parts in one place in the dishwasher. 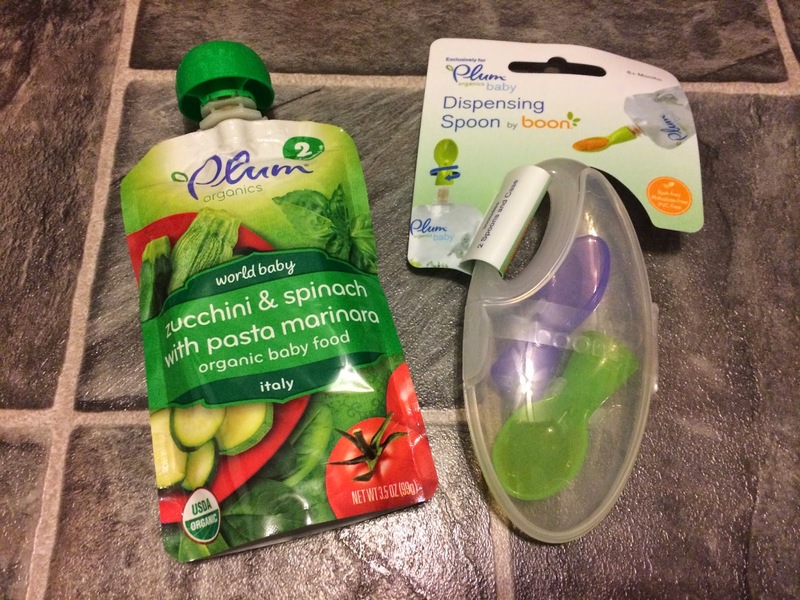 We also received Plum Zucchini & Spinach with Pasta Marinara organic baby food and Plum Dispensing Spoons by Boon. My daughter loved these food pouches when she was younger! She wasn't really in an eating mood today, so I tried to give her this and she thought it was more fun to take the spoon on and off than to eat it. Oh well! The next item was the one thing I knew would be included in the box. We received the Monkey Skip Hop Bib. I would have been happy with either, but was hoping for the owl, since we have the owl lunch bag. I love Skip Hop items and this will definitely get used, whether we decide to keep it or gift it! The final item was a Bottle Strap by Ah Goo Baby. This is a cute design, but my daughter is a bit old for a bottle strap, so we will be gifting this. The bottle strap uses velcro to grip the bottle or sippy cup and secure it to a stroller, car seat, high chair, etc. These are useful for little ones and I'm sure whoever gets it will be very happy. This box ended up being decent and we will be able to use most of the items. The few items we are unable to use will make great gifts and are different things people don't usually think about buying, so I'm very happy about that! Citrus Lane has been launching a lot of mystery boxes lately. It seems like as soon as some sell out they launch different ones. Today they announced a Mystery Box with a Skip Hop Plate and Bowl set for $29. You can choose from 3 designs; Zebra, Hippo, or Elephant. Of course I caved in about 2 minutes and purchased the Zebra. I can't resist Skip Hop items and my daughter really needs an irresistibly cute plate!!! I believe they're still available in the shop if you want to order!